Ticket sales for the inaugural Sunshine Coast Mayoral Ball have exceeded expectations with strong interest from Foundation Partners and those wanting to secure a seat at the exclusive event at The Event Centre, Caloundra on Friday, November 25. SunnyKids CEO and Founder Chris Turner said as a White Ribbon Day Ambassador, he was excited that this event falls on White Ribbon Day as 60% of the children SunnyKids supports are victims of domestic and family violence. 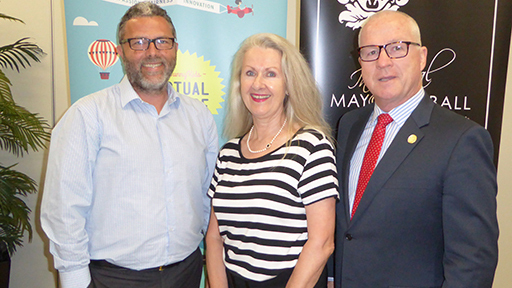 “We are thrilled that Sunshine Coast Mayor and newly appointed SunnyKids patron Mark Jamieson has agreed to host the inaugural Mayoral Ball with SunnyKids as he is a strong advocate for breaking cycles of poverty and disadvantage,” Mr Turner said. Mayor Mark Jamieson acknowledged the significance of this event being held on White Ribbon Day and said that supporting our most vulnerable children and providing hope and opportunity for their future was one of the most important priorities that any community can pursue.